How important are governing accomplishments to a candidate seeking the presidential nomination? The question arises because Abby Rapoport has written a takedown for TNR of Rick Perry’s budget misadventures in Texas, close on the heels of an Ed Kilgore piece that also questions Perry’s accomplishments in the state. My sense? There’s nothing Rapoport or Kilgore mention that should slow Perrymentum in the nomination process. But let me make the argument broader: It’s not at all clear to me that prior accomplishments in office are particularly important for any candidate seeking the presidential nomination. 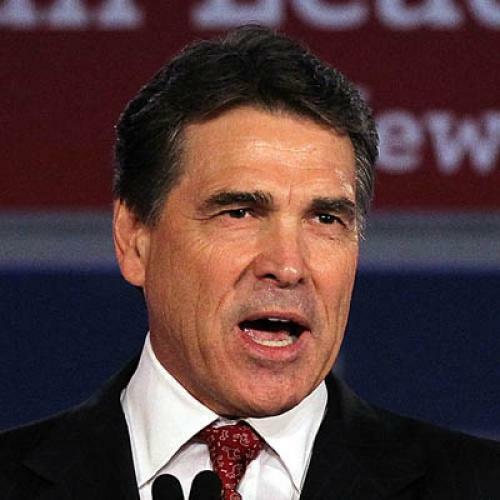 Let’s begin with the supposed case against Rick Perry. His boosters have oversold his success in Texas, Rapoport notes, because “the Texas budget for the next two years is a mess of accounting tricks and gutted programs, thanks to an unprecedented budget shortfall.” But even assuming that budget problems (and the gimmicks created to patch over them) is a charge that can stick, should we really expect it to bother any of the folks Perry must appeal to if he’s to win the nomination? I don’t see why. After all, another way to frame the situation is that Rick Perry put Republican tax orthodoxy ahead of balanced budgets, and that he demonstrated creativity in budgeting to support his main priority of cutting taxes. But zooming out, a quick survey of recent electoral history shows that a candidate’s governing accomplishments (or the lack thereof) have rarely played a decisive role in snagging the nomination. John McCain’s main legislative accomplishment, for instance, was a campaign finance bill that was reviled by many in his party, but he won the nomination by running on his biography and attitude, not his record in office. George W. Bush in 2000, on the other hand, did have an education program he could point to, but he was far more likely to talk about his intention to cut taxes than about school reform. Looking back still further, Ronald Reagan didn’t run on his record in California (which, for that matter, was filled with deviations from conservative dogma); instead he ran, in 1968, 1976, and 1980, as a national conservative leader. His two terms as governor of California were important, of course, for establishing himself as a serious politician, but what mattered was that he had done it without falling on his face, not that he had particular successes. On the Democratic side, it’s true that both Michael Dukakis and Bill Clinton believed that their achievements at the state level were worth running on; for example, Dukakis frequently talked about the “Massachusetts Miracle.” Perhaps that helped them, but it’s more likely that any governor is going to have something positive to talk about, and it’s far from clear that their stories were important to their success. John Kerry, for his part, didn’t really run on accomplishments in office, instead focusing more on biography and issues, and then, in 2008, none of the leading candidates really ran on their Senate records. Indeed, the second tier of candidates—Chris Dodd, Joe Biden, and Bill Richardson—each had done more in office that should have appealed to Democratic voters than what Barack Obama, Hillary Clinton, and John Edwards had achieved in the Senate. In fact, it seems like only one kind of “accomplishment”—the kind that raises doubts among key party groups about the reliability of a presidential candidate on their issues—can, of course, cause problems: Think Jon Huntsman, who supported civil unions, or Mitt Romney, who, well, where to start? But neither Rapoport nor Kilgore has, at least as far I can see, unearthed any issues with Perry’s record that will cause any trouble with important organized groups within the GOP. To be sure, this is not to say that accomplishments in office are useless for aspiring presidential candidates. Passing a bill or launching new program innovations can bring favorable press coverage, and that can help a senator or governor get into the game, or to the attention of what Russell Baker used to call “The Great Mentioner.” And surely there are some policy disasters that would cause problems for a governor seeking national office. But barring any extraordinary failures, once a candidate has emerged onto the scene the game really isn’t about past performance in office. A close examination of how Rick Perry acted as governor might well tell us something about how he would behave in the White House—but it’s not apt to give us much information about whether he’ll get there or not.